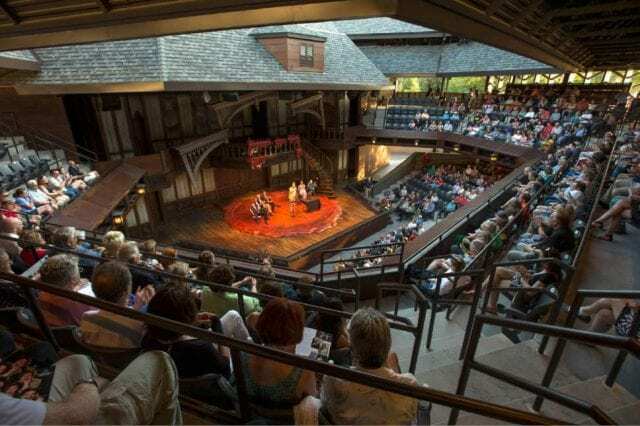 The Tony Award-winning Utah Shakespeare Festival delights every year with first-rate, stunningly-acted performances of The Bard’s works, along with other fantastic plays. Enjoying the cool weather of Cedar City and its charming small-town shops and restaurants, along with the plays themselves is an annual highlight for my wife and I. This year we had the pleasure of seeing the Huck Finn adaptation Big River, the classic romantic comedy Merry Wives of Windsor, and hilarious (and timely) The Foreigner. Which deserves your time and money? Read on! 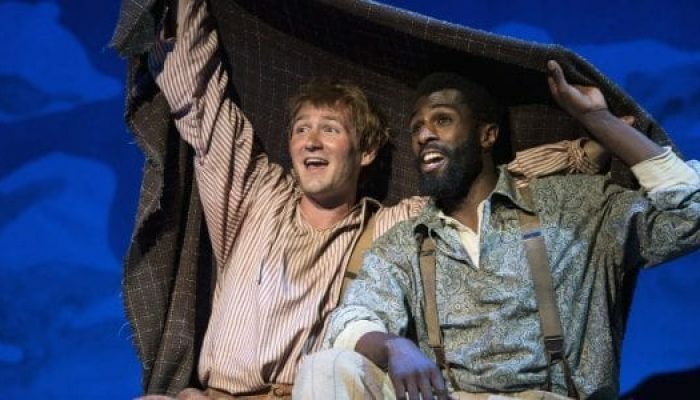 A Huck Finn adaptation for this generation, Big River expertly captures Mark Twain’s flair for witty language, insightful character development, rib-tickling mischief, and inspiring compassion, all while diving deeper into the suffering, culture, and humanity of African-American slaves than he did. Rob Riordan captures the bad-boy-with-a-heart-of-gold innocence of Huck (with a fun bit of redneck flair) while Michael Doherty gets big laughs every time as a Tom Sawyer with a dangerously short attention span. Chris Mixon and Jim Poulos have a “corrupt Timon and Pumba” thing going on as the con men who hitch a ride on Huck and Jim’s raft. Speaking of Jim, Ezekiel Andrew is the standout of the show, capturing the humble decency and broken heart of a runaway slave trying to free his family. He has a powerhouse voice that makes the Gospel-flavored musical numbers pack an emotional wallop. I know it sounds cliche, but you will both laugh and cry here. This was probably my favorite overall, but you’ll want to consider the other two, for reasons I’ll give below. I personally enjoy Shakespeare’s comedies even more than his tragedies and dramas, and The Merry Wives of Windsor, in which a pair of scheming wives essentially aim to teach a would-be adulterer a lesson in fidelity through pranking him hard, is one of his best. At once a romantic tale of marital fidelity, a laugh-out-loud case of miscommunication, a biting satire of gender roles in The Bard’s era, and a satisfying exercise in comeuppance, there’s a lot to enjoy here. This version curiously changes the setting to 1920’s London (though the dialogue remains unaltered), which aids in making the material feel a bit more modern. Great performances all around. Of the three, The Foreigner was by far the funniest. I laughed until my sides hurt at this tale of an Englishman (the always-great Michael Doherty) mending his broken heart by visiting a friend in Georgia (USA). As he wishes to be left alone, his friend tells the locals that he is an Eastern European who speaks no English, hoping they won’t talk to him. The exact opposite happens, as the hospitable Southerners take him under their wing and kindly invade his space (while others reveal their deep prejudices). Now he must keep up the ruse in an uproarious farce that explores bigotry, tolerance, romance, and friendship between differing people with surprising poignancy. All great choices. All wrapping up soon, so get your tickets and go!